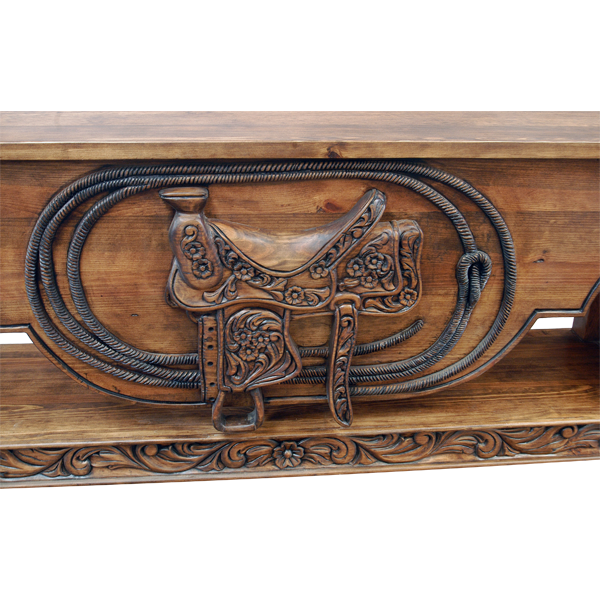 With its amazing, hand carved details, this handcrafted, Western style console is essential to your Western decor. 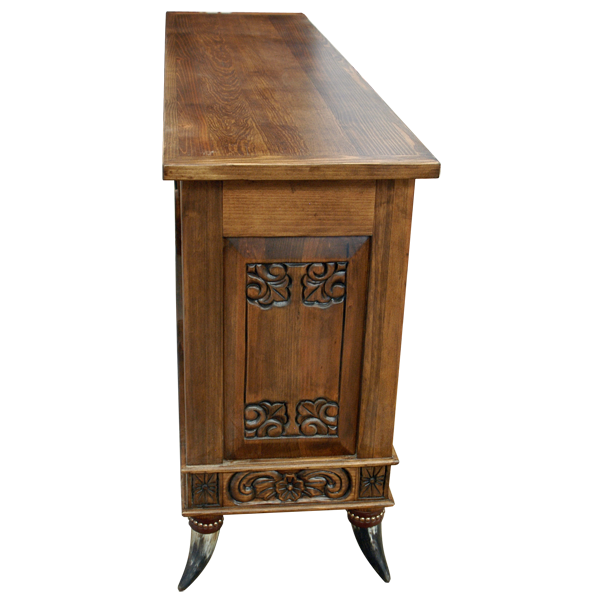 The console features a solid wood, geometric cut apron on its front, and the apron is adorned with a magnificent, hand carved, Western saddle. Completely encircling the saddle is an extremely realistic, hand carved lasso, and the hand carved details on the saddle and lasso are spectacular. 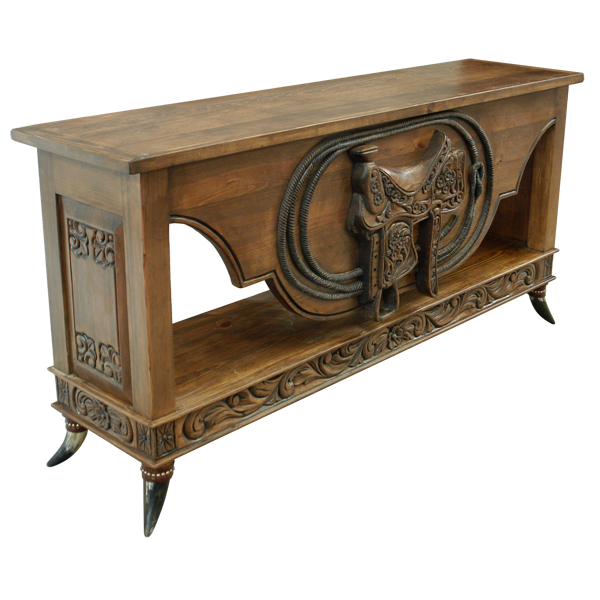 The console has a large, open top with a classic, straight top rim, and each lateral side of the console is embellished with a decorative, geometric cut panel adorned with hand carved, floral designs. 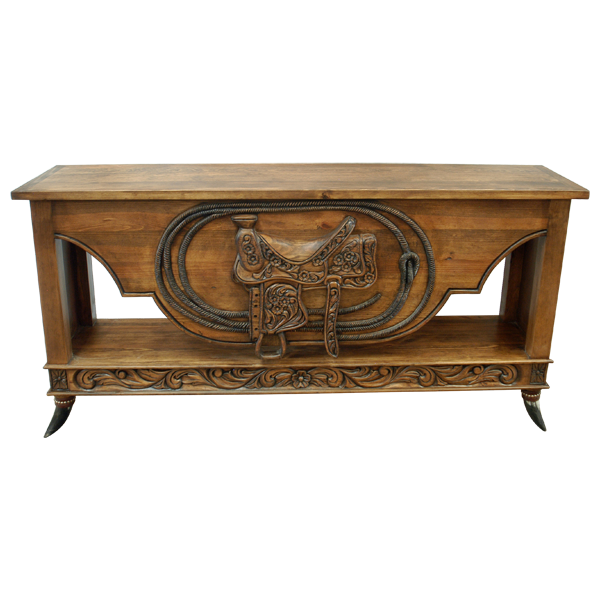 The base has gorgeous, hand carved, floral and scroll designs, and the console rest on sturdy, inverted, steer horn legs. The console is finished with a lovely, light, antique stain, and it is made with the best, sustainable, solid wood available. It is 100% customizable.